There’s a unique type of grass that when fed to livestock, it not only makes the animals more productive, but it lowers the greenhouse gases they emit. Because this grass was preserved in CIAT’s genebank, scientists have been able to transform the lives of farmers in Latin America, and hope to bring the innovation to Africa as well. Filmed as part of Farming First’s #SDG2countdown campaign, exploring SDG2.5 on protecting genetic diversity. In this guest blog post, Ann Tutwiler, Director General of Bioversity International kicks off our brand new series “SDG2 Countdown“. For five weeks, we will count down to the United Nations’ meeting that will track SDG progress, by exploring the five targets related to SDG2: ending hunger. This week, we explore SDG2.5: protecting genetic diversity. When the UN announced its Decade of Action on Nutrition in 2016, hot on the heels of the Sustainable Development Goals, many media outlets used a picture of a child eating a bowl of white rice, to illustrate the promise of better nutrition for all. There’s just one problem. Rice alone is not enough. Yes, it will prevent the most basic form of hunger but rice lacks many of the vitamins and minerals essential for good health. I don’t want to downplay the importance of “sufficient”; we face a great challenge in ensuring enough food for everyone in the face of both climate change and population growth – a challenge that Bioversity International and agricultural biodiversity are helping to meet. For now, though, let’s concentrate on “nutritious” food. The most important factor in a nutritious diet is diversity. That concept is enshrined in national dietary guidelines around the world, with their advice to eat fruits and vegetables, whole grains, pulses and so on. Research conducted by Bioversity International in collaboration with the Earth Institute shows that increasing food supply diversity is associated with lower levels of acute and chronic child malnutrition (stunting, wasting and underweight) at a national level. Agricultural policies and funding for research, however, generally focus on the four or five commodity staples that supply the bulk of calories. From the 5,538 known plant species, just three – rice, wheat and maize – provide more than 50% of the world’s plant-derived calories. And although people may be aware that they should make healthier choices, the food system that surrounds them – which is the product of both food industry and government policy – often makes it difficult to choose a more diverse and more nutritious diet. One successful approach is to diversify staples – mainstay foods – in the diet to include more nutritious alternatives. For example, bananas are the fourth most important food crop in Africa, which is also home to high levels of vitamin A deficiency, a major public health problem in many developing countries. Every year, a half a million children go blind from the lack of vitamin A, and half of those die from infections. ‘Mining’ banana diversity to find varieties with a higher content of vitamin A could be part of the solution. It is estimated that there are over 1,000 varieties of bananas in the world, which range from green to pale yellow to orange to dark red. The genetic diversity in these varieties determines not just these differences you can see and taste, they also determine micronutrient levels. For example, the orange-fleshed. Karat banana contains 1,000 times more of the pigment which the human body can convert into vitamin A (carotenoids) than the Cavendish banana, which is the variety of bananas most Western consumers see in their supermarkets. Bioversity International is conducting research with partners in Burundi and the Democratic Republic of Congo (DRC) to see how using this banana diversity can help increase the levels of vitamin A in diets. In India, we are also working to bring different kinds of nutritious and resilient millets, which were once part of traditional diets, back to plates and markets. While widespread famine in India is a thing of the past, malnutrition is not. India has high levels of stunting in young children and, by contrast, equally high levels of overweight, obesity and illnesses such as heart disease and diabetes. Foxtail millet, for example, contains almost twice the protein of white rice, and little millet almost nine times the iron. In just three months of replacing white rice with millets in school meals, children gained weight and had improved haemoglobin levels. Results such as these, and many more from Bioversity International’s work on neglected and underutilized species, helped prompt the national and state authorities in India to amend their food legislation. Millets are now included in some state school feeding programmes and have been incorporated in the national public distribution system. This is obviously a good thing for the poorer and nutritionally vulnerable people who receive subsidised food, and it also benefits the farmers who grow millet, which is much less ecologically demanding than other staples. Nutrition, local economies, the environment and food security: all thus gain from expanding the diversity of diet. There is no single solution to combat malnutrition, but using more diverse crops and varieties in our fields and on our plates must be part of the solution. To make this a reality, we need to take action at multiple levels. Consumers can influence production by choosing nutritious, fresh, local and diverse foods. Agricultural research should increase knowledge on the use of agrobiodiversity to make farming systems more nutritious, resilient and sustainable. Governments can make the difference by creating food and agricultural policies that promote and integrate agrobiodiversity as an essential tool to achieve multiple Sustainable Development Goals. Use #SDG2countdown to search for more content and share your own biodiversity stories on Twitter, or visit farmingfirst.org/sdgs for more! Our guest author, M. Ann Tutwiler, is Director General of Bioversity International. In this guest post, she discusses how private-public partnerships can contribute to better agricultural biodiversity, a topic she will discuss further as a keynote speaker at the 82nd Annual Conference of the International Fertilizer Industry Association in Sydney, Australia on 26-28 May 2014. It is an article of faith in the agriculture community that we need to increase food supplies by 60% by 2050—and that the challenge before us is as compelling as the challenge we faced in 1962, at the start of the Green Revolution. It is also understood that we can’t simply repeat the arithmetic formulas that gave us the first Green Revolution—simply increasing yields and producing more food and more calories is no longer sufficient. We now have to solve a quadratic equation: it matters both how we produce more food and where we produce it as well as how we market and consume it—all under changing climatic conditions. The first variable is: how? We know we must produce more food while sustainably using natural resources such as land and water. But we rarely talk about the importance of sustainable use of our most important natural resource: genetic diversity. Although there are over 7,000 known edible plant species, currently 50% of the world’s calories come from just three crops—rice, wheat and maize. These happen to be the crops that have benefited from the most attention from both public and private research organizations, with well-developed improved seed varieties, fertilizer compounds, and agronomic systems. During the Green Revolution, agricultural biodiversity was seen as an important source of genetic material that could provide important traits, such as high yields or pest and disease resistance. But the role of agricultural biodiversity in farming systems was often overlooked—and was even sometimes seen as part of the problem. However, in recent years we’ve been finding out that (over the long term) more diverse ecosystems, with more species or more genetic diversity within species, can often have higher overall productivity than systems based on fewer varieties. They can also be associated with greater stability of yield—higher-diversity plots have been shown to be up to 70% more stable than monocultures. Genetic diversity can also reduce risk of crop failure in high stress environments. The second variable, then, is: where? As the majority of the expected population increase will take place in the developing countries, we must produce more food in these regions. Most of the world’s remaining agricultural biodiversity is found in these developing countries, maintained largely by smallholder farmers: they are the custodians of biodiversity. For most of these farmers, diversification is a risk management strategy, offering inbuilt increased resistance to pests and diseases, climate variability and extreme weather phenomena. Crops that can withstand the rigors of climate change—such as sorghum, millet and amaranth (among many others)—require more attention from both public and private research organizations. For many of these crops, there are no improved seed varieties, and there are no tried and true agronomic practices. These so-called “crops of the future” and more broadly the potential benefits of agricultural biodiversity could benefit from more research in order to help farmers manage their production risks or how to efficiently and effectively integrate these understandings into the practices of modern agriculture. Public-private partnerships (PPPs) will be essential in delivering on this goal. In 2013, public funds dedicated to agricultural research and coordinated through the CGIAR Consortium of International Agricultural Research Centers (of which Bioversity International is a member)­—topped $1 billion. Although nearly one-third of this total is invested in rice, wheat and maize, increasingly the international agriculture research for development community is also investing in climate change, nutrition, dryland cereals, livestock and farming systems research—and biodiversity. But global private sector research dwarfs public research investment by a factor of 11 to one, and there are many ways in which private and public sector research can work in tandem to deliver on shared goals. PPPs combine the respective and complementary strengths of both sectors, achieving benefits that neither can produce on their own. These partnerships can produce investments and introduce the technology needed to make progress towards sustainable food security and market gains: they lead to higher competitiveness and better (or even new) market access, reduce the costs and boost the relevance of research, and ensure that key stakeholders are involved. Together with the private sector, Bioversity is putting diversity to work to improve smallholder livelihoods, produce food sustainably and reduce risks from pests, diseases, and unstable weather and markets. One great example of our work on markets with the private sector is the IFAD-Neglected and Underutilized Species Project. Bioversity International has been working with IFAD for over a decade to tackle the market failures that prevent farmers from bringing diversified products to market in Bolivia, Peru and India. The IFAD-NUS project has reached out to over 80 partners to help enhance the sustainable use and management of underutilized species such as quinoa, in order to unlock their potential value for income generation and nutrition. After two successful phases, a third is currently underway and the results speak for themselves: the production of Andean grains in target communities increased by 140% in Bolivia after both phases. After the project developed the first-ever quality standards for Andean grains, marketing opportunities increased by 81% in Bolivia and by 64% in Peru. In India, Bioversity International and its partners worked with smallholders to improve the cultivation and use of small millets. As a result, Indian small millet growers increased their yields by 70% and their income by 30%. We need to learn to integrate bio-diversification into modern agricultural systems as a first-order response to the threats of pests, disease and climate change. Thus far, limited research has been devoted to understanding the role that agricultural biodiversity can play in reducing farmers’ risks or how it can be used in modern farming systems. An excellent example of our work on risk reduction for farmers is cocoa. Demand for cocoa products has never been higher, and 90% of the global supply of cocoa comes from 5 to 6 million smallholder farmers across tropical Africa, Asia and Latin America. However, many lack the resources to improve yields or prevent loss from extreme weather or pests and diseases; the latter alone is responsible for up to a 40% loss in annual production. The Global Cacao Genetic Resources Network, a network coordinated by Bioversity International, is working with public and private partners – including Mars, one of the world’s leading chocolate manufacturers- to contribute to a more sustainable cacao economy. Mars and Bioversity International are also working together on the Cocoa of Excellence initiative, providing opportunities for farmers to link directly to specialist chocolate markets, which not only secures their livelihoods but also perpetuates the on-farm maintenance of a myriad of varieties. To effectively tackle the challenge of feeding nine billion people while sustainably using our natural resources—including agricultural biodiversity—the public and private sector need to address agricultural bio-diversification to increase productivity, reduce risk, and tackle unstable weather and markets. Given the challenges and opportunities we face to increase food security and to do so sustainably, it will be vital that public-private partnerships continue to find ways to collaborate and to ensure that these learnings are put into practice. Taking an ecological approach to farming can bring agriculture and conservation together.At the same time, our world is reaching a tipping point – with an expected 9 billion people in the world by 2050 and climate change already having effects with major droughts and floods. We need to collaborate and find ways to prevent catastrophe and also insure our futures and those of generations to come. What does this collaboration look like? For farmers in some of the world’s poorest areas, it includes adding more diversity on farms to diversify production and improve the resilience of food production systems, while at the same time increase pollination and maintain healthy soils. It means policy makers need to advocate for an ecological approach to farming and protecting smallholder farmers. It means farms are seen as parts of diverse mosaic landscapes including corridors that link natural ecosystems and allow wildlife to prosper at the same time as agriculture. It means approaching agriculture not for the short term, but for a sustainable future. Bioversity International is working with partners to conduct more research and provide critical decisionmaking information in this area. This research will result in decision making tools for policy makers, land managers, conservationists, and farmers – giving them more options in a world running out of time to meet production and conservation goals. Examples include EcoAgriculture Partners’ Landscapes for People, Food and Nature initiative, the Natural Capital Project, CGIAR’s Water, Land and Ecosystems research program, and of course this week’s workshops at IUCN. Biodiversity is a significant factor in all of these examples, because it is in an excellent position to contribute to both agriculture and conservation. Farming systems have to transform, while conservation efforts need to ramp up to halt the everyday loss of biodiversity, including in agricultural landscapes and not just in protected areas. Genebanks make up an important part of the efforts to conserve plant genetic diversity, but the world’s farms have to play a critical role in this effort through a dynamic form of conservation. Smallholder farmers in particular – many of whom are women – are the custodians and users of biodiversity. The choices they make in the varieties they plant, grow, harvest and sell directly also affect the diversity in our diets, our supermarkets and on our tables. This approach is already under way, but needs more support. Research to provide healthy, resilient, sustainable ecosystem services is needed now. These services involve the entire interplay of social, cultural, ecological and financial dimensions. Interdisciplinary and cross-sectoral cooperation is vital. Become our partner in this effort. Find out more about what Bioversity International is doing at the IUCN World Conservation Congress here. Emile Frison is the Director General of Bioversity International. 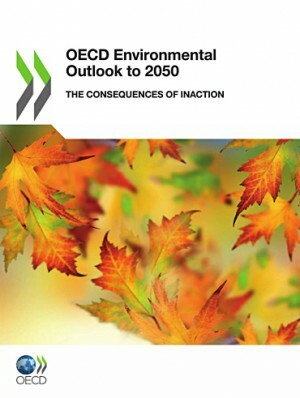 The Organisation for Economic Co-operation and Development (OECD) has launched a new report “Environmental Outlook to 2050: The Consequences of Inaction.“ It explores the question “What will the next four decades bring?” and urges governments to take immediate policy action before the consequences of recent decades of unprecedented human growth become irreversible. The report is based on joint modelling by the OECD and the Netherlands Environmental Assessment Agency and focuses on the implications of socio- economic trends on four key areas of concern: climate change, biodiversity, freshwater and health impacts of pollution. It concludes that despite uncertainties, urgent and holistic action is needed from policy-makers or the consequences will be significant on both human and economic terms. The report ultimately presents interlinked action-based solutions and addresses some potential challenges and trade-offs. The arrival of these projections could see a future hard-pressed to meet the needs of 9 billion people. To avert this scenario, the report recommends new thinking through a variety of global policy solutions such as environmental taxes, emissions trading schemes, pricing of natural assets and ecosystem services, removal of wasteful subsidies and schemes, and encouraging green innovation around production and consumption modes. Greener sources of growth can help governments today as they tackle these pressing challenges. Greening agriculture, water and energy supply and manufacturing will be critical by 2050 to meet the needs of over 9 billion people. The report also highlights some effective green growth policies already in place in many countries such as the UK, US, Mexico and Japan. One example is a water pilot programme in Mexico that transfers cash directly to farmers instead of subsidising the electricity they use to pump irrigation water, helping to remove price distortion leading to over-use of groundwater. We have already witnessed the collapse of some fisheries due to overfishing, with significant impacts on coastal communities, and severe water shortages are a looming threat to agriculture. These enormous environmental challenges cannot be addressed in isolation. They must be managed in the context of other global challenges, such as food and energy security, and poverty alleviation. Read more about biodiversity, climate change and water in relation to agriculture on Farming First’s website. Genetic traits of food crops are being collected in the largest ever global search to help protect global food supplies against the threat of climate change. 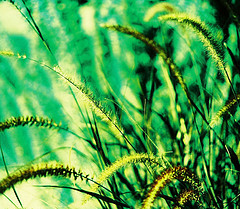 The initiative is being led by the Global Crop Diversity Trust, working in partnership with national agricultural research institutes, Royal Botanic Gardens, Kew, and the Consultative Group on International Agricultural Research (CGIAR), who will all seek to find, gather, catalogue and use the wild relatives of wheat, rice, beans, potato, barley, lentils, chickpea and other essential food crops. These wild plants contain essential traits that could be bred into crops to make them more durable and versatile in the face of varying climatic conditions. All our crops were originally developed from wild species – that’s how farming began. But they were adapted from the plants best suited to the climates of the past. Climate change means we need to go back to the wild to find those relatives of our crops that can thrive in the climates of the future. Crop wild relatives make up only a few percent of the world’s genebank holdings, yet their contribution to commercial agriculture alone is estimated at more than US$100 billion per year. It is widely understood that, irrespective of the outcomes at the United Nations’ climate change conference in Cancún, the coming decades will see ever more challenging conditions for agriculture. The forecasts for declining yields are particularly frightening for the developing world. For example, yields for maize in Southern Africa, a vital crop in a region which already suffers from chronic hunger, are predicted to fall by up to 30 percent within just 20 years. The standard response until now has been that new, hardier varieties of our crops will be required. This project represents one of the most concrete steps taken to date to ensure that agriculture, and humanity, adapts to climate change. At a more fundamental level, the project also demonstrates the importance of biodiversity and genetic resources for human survival.